The popular Roberts Stream93i is no longer available. The replacement Roberts Stream94i has an all-new design but retains the versatile features. Internet radio has made it possible to enjoy thousands of stations from around the world. The Stream93i from Roberts brings together several listening options in a modern, well designed radio. Once connected to the internet it’s easy to start browsing the stations by genre, location, popular and new stations, or with a search for one you already know. The clever list of stations means you can browse for blues, country, trance and other genre based stations – many of which aren’t catered for on digital radio. Another advantage of the internet radio feature is the ability to listen to stations which are on DAB digital radio, but are not available in your area. A library of podcasts is also available at the touch of a button. Spotify Connect is also included with its ability to stream non-stop music, although a Spotify Premium account is required. 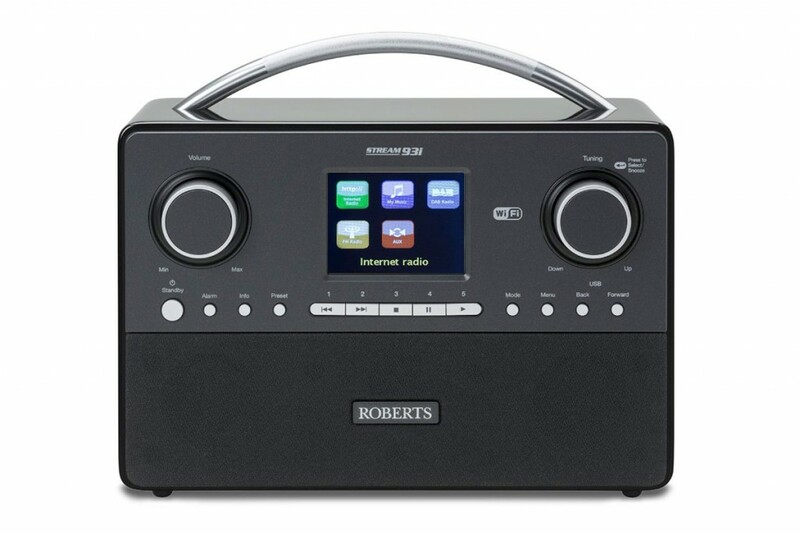 The Roberts Stream93i receives FM, DAB and DAB+ stations as well as internet radio. For those times when you’d rather listen to your own music or podcasts the radio can play MP3s and other music files – including WMA, AAC and FLAC formats. The files can be played back from a USB stick or over a network with DLNA. All great features for any audiophiles with music collections already stored on a network. The radio can be connected to networks and the internet with the built-in wifi, or using a wired network connection. Audio inputs and outputs are well catered for. A headphone jack allows listening in private and an additional line out socket makes it easy to connect to a hi-fi or amplifier when you want to take advantage of bigger speakers. An aux-in socket is also provided for connecting a smartphone or MP3 player – a really useful way to make the most of the 3 way speaker system with its bass woofer. Verdict: You'll never run out of things to listen to with the flexibility that FM, DAB, internet radio and on-demand streaming offers.